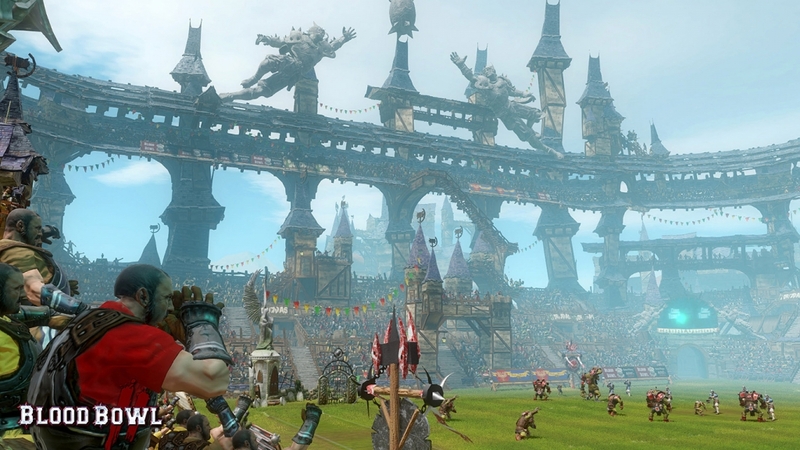 Blood Bowl 2 is a turn-based fantasy sports game developed by Cyanide Studios in association with Games Workshop. 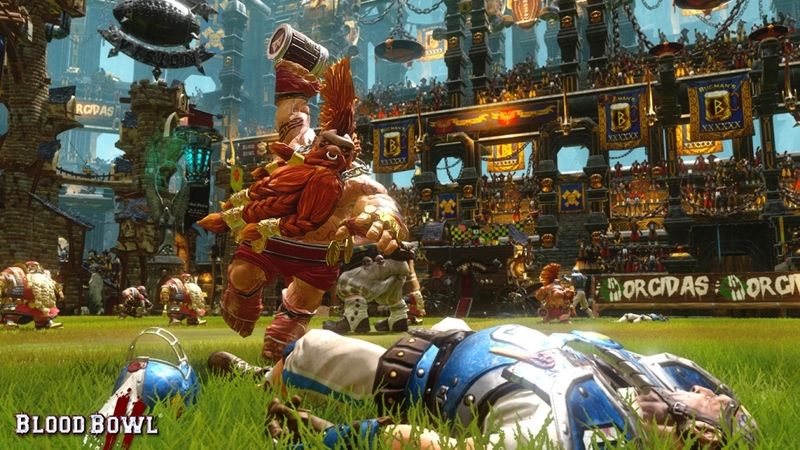 The title is a sequel to the original Blood Bowl, which has been available across multiple formats over the years, and in turn was based on a Games Workshop board game. 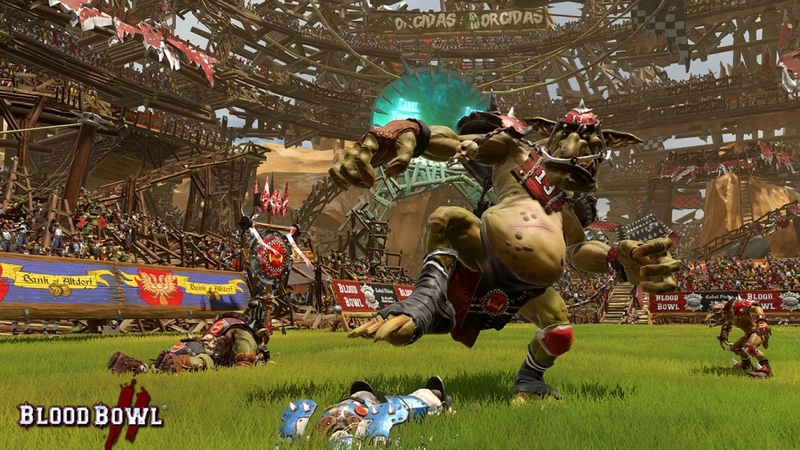 When I was handed Blood Bowl 2 to review, I was excited to play it judging by the cover art; after all Madden with ogres, trolls and dwarves sounds awesome, right? Well, having spent plenty of time playing the game, I have to say it’s actually kinda… dull. 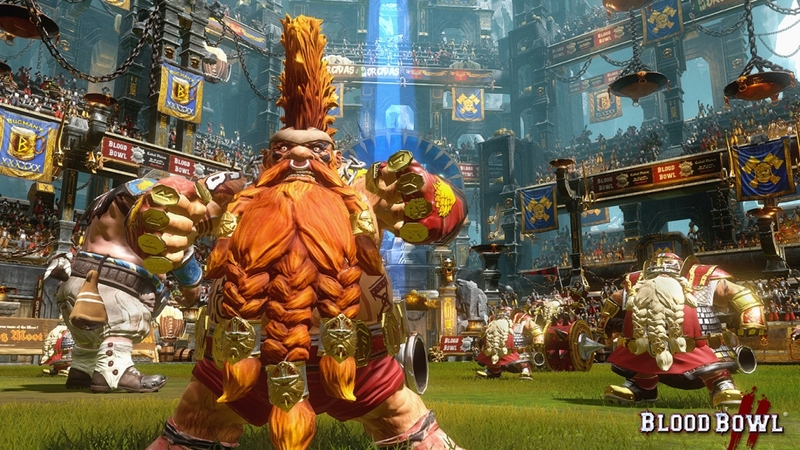 Now I’ll admit I haven’t owned an American Football game since Joe Montana’s Football on the Sega Mega Drive, but I have played plenty of other well-known NFL games over the years (and not knowing what I do now about Blood Bowl’s lineage), and was expecting a pulse pounding, bone crunching high tempo sports sim. What I was met with plays more like a game of Dungeons & Dragons, pasted over a basic sports sim. 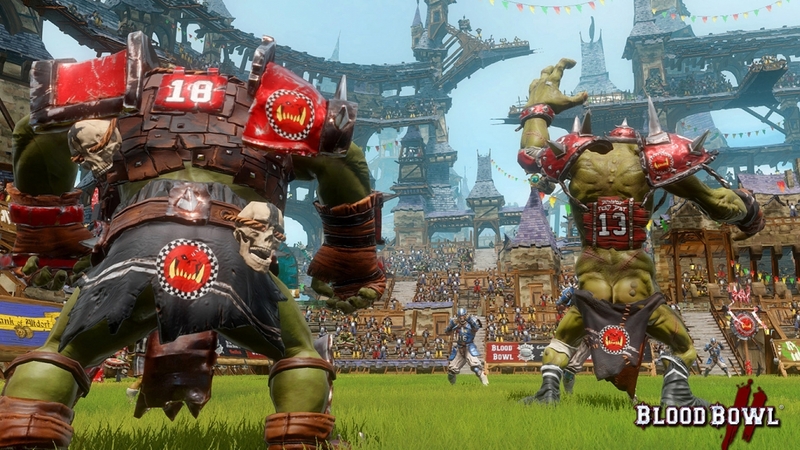 The game tries it’s best to lampoon its gridiron cousins, with in-game commentary, as well as pre and post-match analysis from Jim Johnston, the play-by-play man – who just happens to be a vampire; and former Blood Bowl player and pundit Bob Bifford, an ogre. 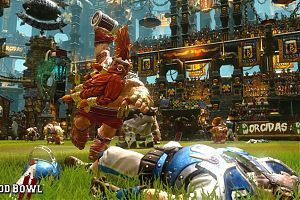 The two have the banter you’d expect from sports presenters, cracking lame jokes and puns, even though I couldn’t tell if this was tongue-in-cheek or not – admittedly these may be in-jokes that Games Workshop fans would “get”. The game does show that it’s up with the current sports world, with the commentary team encouraging viewers to get in touch via social media – Face Tome and Twerper substituting for Facebook and Twitter respectively. 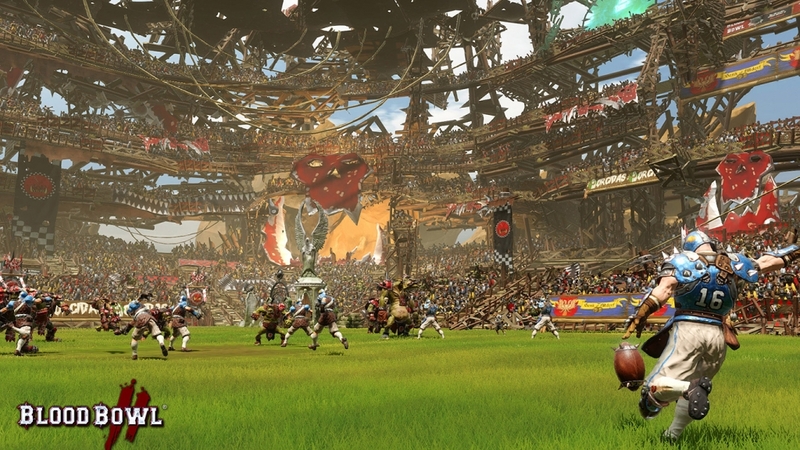 From the start screen, you’re met with the usual menu for a sports sim – friendly matches, campaign mode and online gameplay. The game does warns you that all stats are permanent and cannot be amended. Beware of this, as I accidentally conceded a match that would be on my record forever more, simply by skipping too far through player introductions and straight into a pause menu, with the extra press of a button sealing my fate! 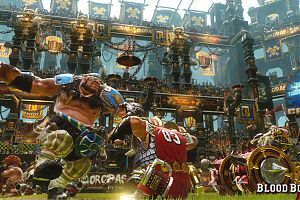 The main campaign is structured like most sports sims; a little back story tells how the team you’ll play as – The Reikland Reavers – were decimated in last season’s finals, and that the coach has gone into hiding. 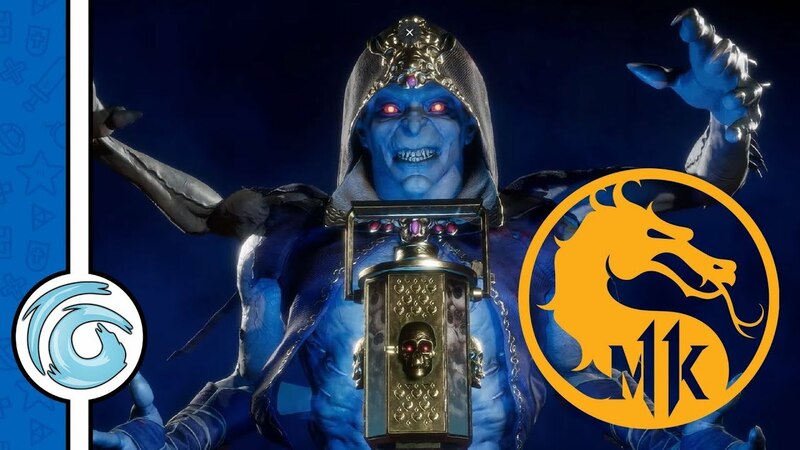 You’re basically handed the laughing stock of the Blood Bowl league. You take the role of coach and most firstly build a team of 15 players using the free agent talent pool. Each player has their own stats – speed, stamina, etc. and since you only have a limited budget, the game forces you to choose wisely. 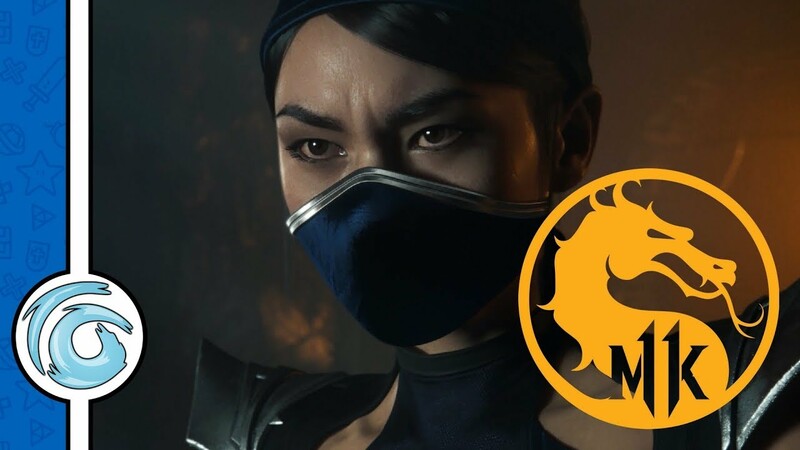 As you progress through the campaign mode, you earn more money to invest in better players, making your team stronger and able to compete with some of the larger teams. Onto the gameplay itself, the playing field is preset to a 45 degree view, although you can zoom out to bird’s eye view, or zoom in to 3rd person view in-game using the shoulder buttons. I left the view alone, as the camera automatically zooms in when something interesting happens – a tackle or player running for a touchdown for example. All of these moments are well animated, tackles look brutal and there are plenty of realistic grunts and groans as bodies collide. 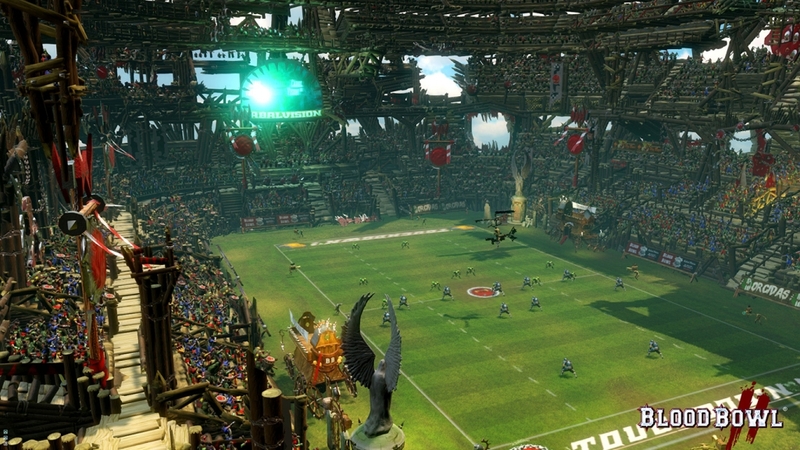 Both teams are presented to the crowds, the ref tosses a coin to decide which team will kick off and away you go. The characters are distinctive, wearing medieval style uniforms – humans for example wear a cross between normal American Football garb and suits of armour and chain mail. The game keeps to the basic rules of American Football – score more touchdowns than the other team to win the game. Unlike American Football, everything is bogged down with a turn based format, strategically moving your players (or pieces) into tackling positions, rather than downs and possessions within time limits. The game has eight turns per half, sixteen in total. Whoever has the most touchdowns at the end of these turns wins. Each of the players on each team can move once per turn. The rest of the time they’re stock still, much like Games Workshop playing pieces, apart from the tackle animations. This instantly reminded me of Chewbacca and C3P0 playing holo-chess in Star Wars. 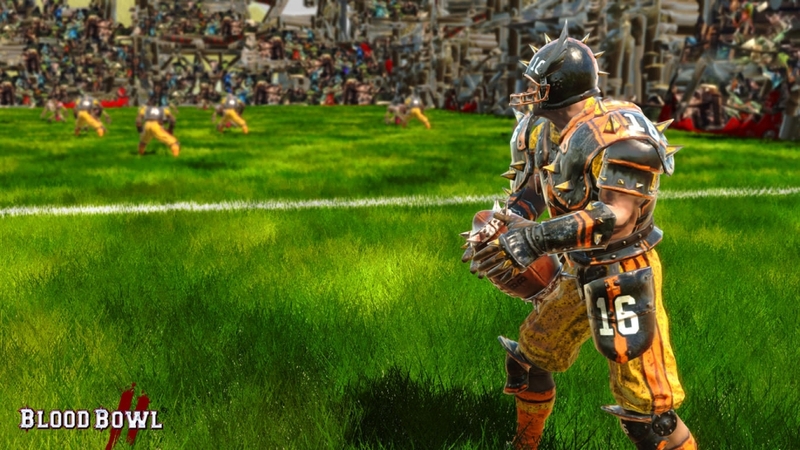 Using a cursor to select a player, you’re given a certain area into which they can move, divided into squares, with minesweeper-type numbers surrounding the opposing players, which denotes the potential of being tackled. The cursor lets you tell your player where to move. Placing the cursor over an opponent brings up a set of dice, making whether or not you tackle them a game of chance based on the stats mentioned earlier. If the opponent is stronger, the likelihood is you’ll get flattened – the chances of success or failure are made obvious with red dice showing the opponent is stronger, regular – ivory coloured – dice favouring the player. 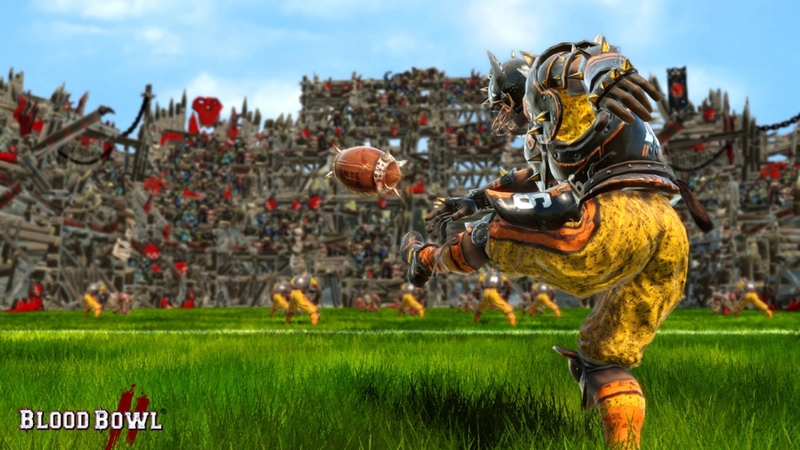 You can also blitz an opponent or throw the ball to a team mate, although these can only be used once per turn. The rear cover of the game’s box promises random acts that will influence the game. I found these mostly hindered my progress, such as the referee running onto the pitch, knocking out one of my players and subsequently taking them out of the game for an extended period – before running back to the side-lines. These occurrences happen almost once every turn, but always seem to centre on the player’s team rather than the opponents. The main issue I have with the turn-based gameplay is when playing a team with stronger players (which you’ll generally be up against earlier in the game), you’re helpless to stop the opposing team battering yours into the dirt. 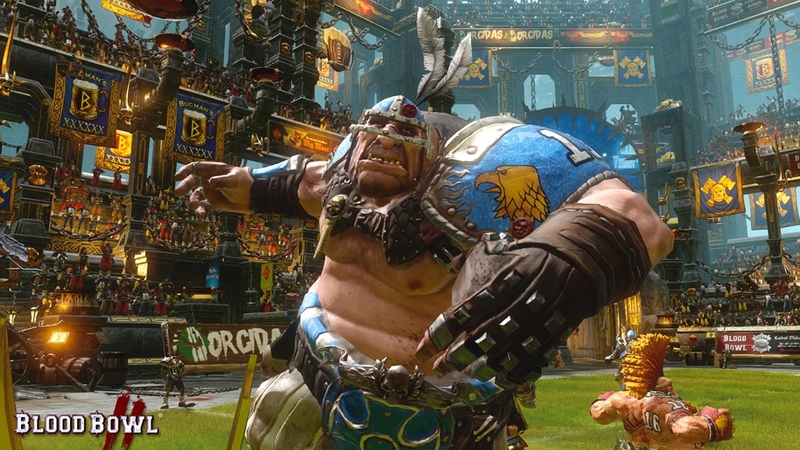 Don’t get me wrong, there’s nothing inherently wrong with Blood Bowl, you’ll just have to invest a lot of time in the campaign mode to reap the rewards of a stronger team. I did find that the difficulty level was just about right, as I easily won the first few games, despite the frustration of having to pick up my players and dust them down at the beginning of every turn. I felt that this was more to do with my knowledge of American Football, rather than knowing what I was actually doing in the game though. There is a handy pop-up tutorial that flashes up from time to time, but I found this slowed down the pace of the game even more, so dismissed them and learned as I played. 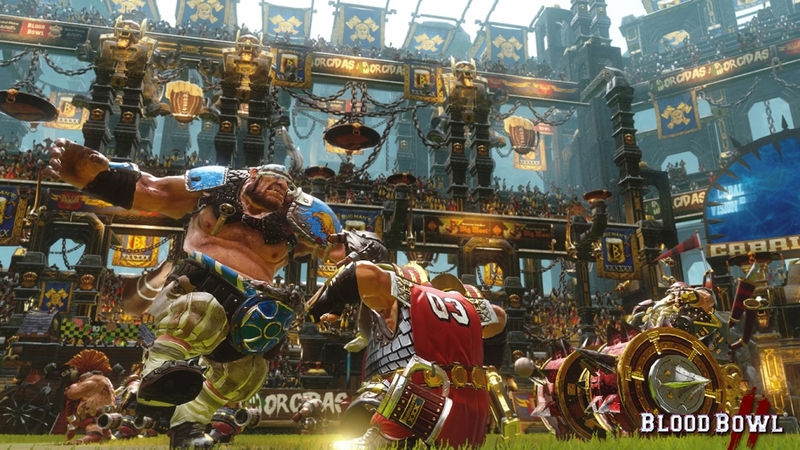 Ultimately, Blood Bowl 2 doesn’t have enough pace to keep casual gamers or sport sim fans entertained. I’m sure that anyone who’s familiar with the board game or Games Workshop products in general will find the game enjoyable. 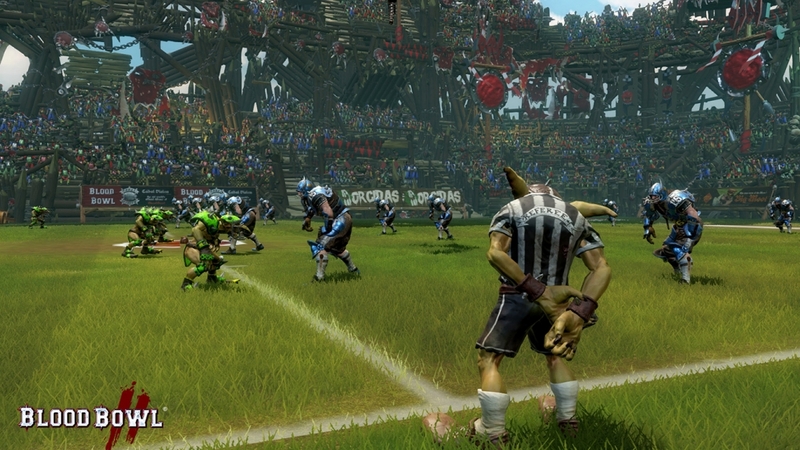 The game is well presented, and as mentioned does an adequate job of putting a fantasy twist on American Football. The animation, voice acting and sound effects all fit with the medieval setting. It’s just a shame that this didn’t lean toward more of a sports simulation, which would have made it much more enjoyable. 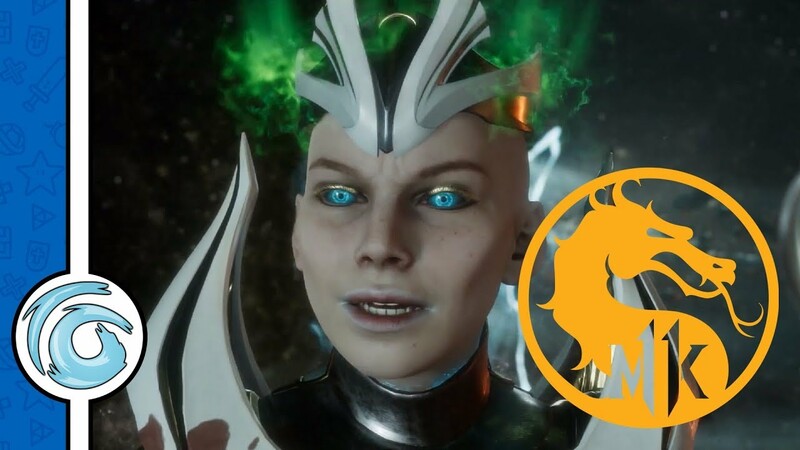 What seems like a fun concept is bogged down with tedious board game style gameplay, leave well alone unless you’re seriously into fantasy, turn-based games. 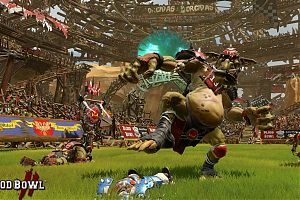 This review is based on playing the PlayStation 4 version of Blood Bowl 2 that was kindly provided for review purposes by Focus Home Interactive.